As someone who was born and raised outside the UK, there are certain British things I’ve simply never experienced: bonfire night, vinegar on chips and queueing for bus stops are only a few examples. So when I was one of the two FTV students invited to film behind the scenes at this year’s Royal Institution Christmas Lectures in London, I didn’t know what to expect. Of course I was very excited, because any project like this is an opportunity to practice the filming and networking skills necessary in our field. But when I told my partner, who is British as well as a chemist, he informed me that the Christmas Lectures are actually a big deal. They were first presented by Michael Faraday in 1825, and have been shown on television since 1936. Through accessible language and examples from everyday life, the Christmas Lectures aim to translate scientific concepts for a young and general audience. In 2018, the lectures were all about evolution and the question of how humankind became what it is today. After some phone and email contact with the team at the RI, it was decided we would film during two rehearsal days. This meant a three-hour train journey and a brisk walk through the crowded streets of rush hour London while carrying kit, which as fresh FTVers, we’re not quite used to yet. Luckily we received a very warm welcome at the RI. As the video we’re making will mostly be for internal use, we could film anywhere we wanted, which is quite a privilege as normally only a small section of the building is open to the public. The crew were very friendly and even within their busy schedules, many were happy to have a quick chat on camera. One of them was the director, a media professional with over 40 years of experience, which as aspiring media freelancers was very useful to us. Minutes before we left on the second day, we also got a chance to interview this year’s presenter, Professor Alice Roberts, who also works at the University of Birmingham. We talked about the importance of a friendly relationship between media such as television and the sciences, and she explained to us how the Christmas Lectures make complex science accessible for the general audience: not by dumbing down, but by breaking difficult concepts down to their building blocks. From our position close to the action, we experienced up close what goes into the production of a large-scale television event such as this. Much of it seemed like organised chaos at the time, from practising demos with imaginary volunteers to making script amendments in the final days before filming. However, the positive attitudes of the teams both in front of and behind the camera never wavered, and the final product as it aired on TV in the days after Christmas seemed effortless. Having now seen both the ‘before’ and ‘after’ of the Christmas Lectures, our video will try to show how it all fell into place, and that with enthusiasm, determination and commitment to the science, almost anything is possible – including bringing a live cow into a lecture theatre in the middle of London. On Wednesday 31st January, we welcomed legendary producer Tony Garnett to campus. An honorary graduate of the University, Tony was born in Birmingham in the 1930s and made his name working on films such as Kes and Cathy Come Home, with later work including This Life and Beautiful Thing. FTV student Sofía Podetti reflects on his talk and how it has made her consider her own ambitions for a life behind the lens. “The most important thing I can tell you today is there is no formula to making a film”. This was the opening line to what would soon be one of the most interesting talks I have ever attended. The guest speaker was Tony Garnett, one of Britain’s most distinguished film and television producers – and a truly interesting person to listen to. To say this is probably a hyperbole since Mr Garnett worked in the industry for over 50 years, retiring a decade ago. Overall, everything he said was fascinating to the small audience that was present last Wednesday. But probably the thing that impacted on me the most was the following phrase: “film is a social activity.” The fact is that the people who make films and television shows have always had a responsibility to society, since the product of their work is consumed by the masses as some sort of truth of the world we live in. Chilean scholar Valerio Fuenzalida argues that one of television’s core functions is the educational one because the audience tends to connect with the different characters and situations and take them as part of their social education. Unfortunately though, I don’t think this belief is shared by everyone in the industry; in my opinion, some are more centred in the economic aspect of the job rather than the social one. This results in products that sell very well but show no real values, which is a shame, really. Realizing this has made me think about the kind of professional I want to be upon entering this incredibly competitive world: do I want to make money at any cost, or would I rather struggle a little bit more and produce inspiring shows and films? I would undoubtedly go for the second option, for I find it much more rewarding in the long term. I would love to produce content that raises awareness of different topics, empowering my viewers and helping them out through my films; I believe this is what the industry should really be about. I know I am not alone in this. In the past years I have noticed a change of paradigm in the cinematographic industry, especially regarding the portrayal of women and children. This is just the beginning of a road that will bring sensible, valuable representations of society to our screens. I hope that ten years from now, when I have a family of my own, this will be a reality rather than a dream. Tony Garnett is one of the people who started this change; I hope that I can be a part of it too. It seems like only yesterday that I got my acceptance onto the MA in Film and Television: Research and Production at the University of Birmingham. Doing my undergrad (History) at UoB, it felt only natural for me to stay an extra year, on this fantastic course, as I loved the uni, and the opportunities the course could provide me, so much. In all honesty, my main reason for undertaking the MA was the placement aspect of the course, as I, like many other rookies looking to get a career in television or film, didn’t know where to start. I thought that the course would provide me with the necessary skills and training which would stand me in good stead to get a job in the television industry. And I was right. I enjoyed every aspect of the MA, from practical training with Oz, to documentary filmmaking with Richard. However, my favourite taught module was Research, Production and Commissioning with Kate Hollingsworth (who works in television). As a self-confessed TV obsessive, I loved learning about every aspect of the television industry, and Kate was an inspirational teacher. This module, as well as the placements I undertook, reinforced that I definitely wanted to pursue a career in television. However, it was definitely the placement aspect of the course which I feel I thrived in. I was a casting runner at 7Wonder in Birmingham for two months, working on a cookery show for Channel 4. I really felt like a part of the team and I learned loads about the TV industry and casting itself. This experience led me to get the job that I am currently working in, as a casting runner for a company in London, called Nutopia. To get the chance to actually work for a television company was amazing, and I learned some invaluable skills, all thanks to the MA. The MA also helped me get my first job in television: being a location runner on Ibiza Weekender (ITV2). To have the chance to go abroad for a month was amazing, let alone getting the chance to go to Ibiza for a month! 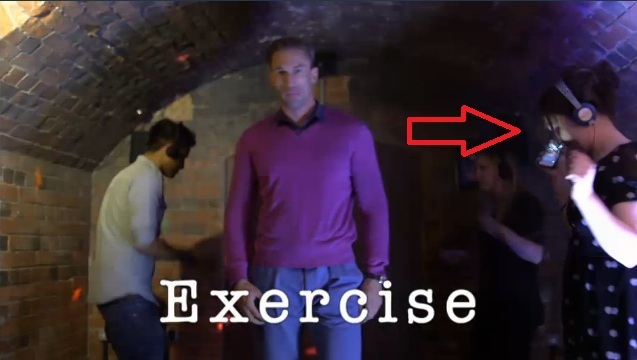 I had to give my dissertation in 3 weeks early, and my placement essay 2 weeks early (a day before I flew out to Ibiza) but it was worth it, as working on Ibiza Weekender was an amazing experience, and I learned so much about working on location and the necessary tasks that are involved in being a location runner. It was relentless hard work, but again I feel that the experience I had on the MA really helped me to do my best at the job. It also helped that I had watched the show so knew the format! I can’t thank Richard, Jemma and Oz enough. Doing the MA was the best decision and all aspects of it have allowed me to get my foot in the door of the television industry, an industry I hope to work in for a number of years! Find out more about FTV in this short film, produced by 2013-14 student Bogomil Kalinov, as part of his placement with the University’s Media Centre. 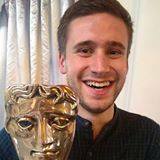 Alumnus Pete Twibill graduated from the MA in 2010, when it was still known as ‘History, Film and Television’. 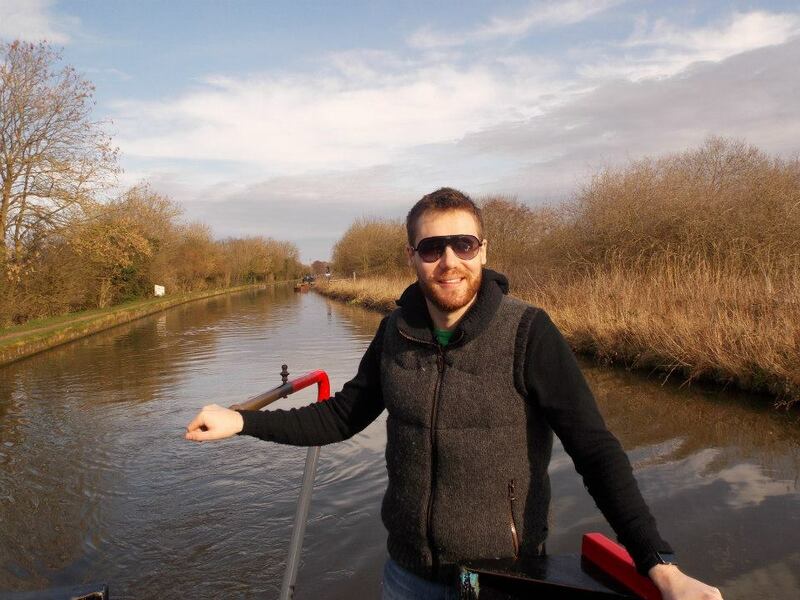 In the past four years he’s worked as a researcher on numerous broadcast television programmes, predominantly on Birmingham-based productions but also with stints in London and Leicester. In this blog he shares his experiences of life in telly…and yes, he really has pressure washed an elephant! I did my MA work experience at North One TV working on The Gadget Show (Channel 5). After finishing that I was offered a 3 month contract with North One as a Researcher. All in all I was at North One TV for around 14 months. Since leaving North One I’ve been fortunate enough to work on a number of prime time shows including three series of Superscrimpers (Remarkable TV, Channel 4), Snog Marry Avoid (Remarkable TV, BBC3), Junior Paramedics (BBC North, BBC3) and The House that £100k Built (Remarkable TV, BBC2). It’s pretty difficult to describe what my job role is as it varies so much. In essence, I do whatever needs to be done to make TV programmes. I’ve had to dip my toe into a number production processes; casting, shooting, editing, writing biographies, fact checking, setting up shoots, the list goes on (with a lot more banal examples!). I think an important aspect of my job is being able to adapt, as every project is different. For instance, my last job saw me on the road attending medical emergencies like seizures, car accidents and cardiac arrests. The job before that was an office based role on a history documentary and next month I might be pressure washing African elephants (again!!!). For me, TV often feels like a very bi-polar career, it comes with extreme highs and lows, it’s very rarely mundane. There are often times, exhausted, dishevelled and broken, when I ask “why do I do this?”. But on the plus side, I’ve been witness to some awe inspiring moments, had privileged access to some incredible places and experiences and made some wonderful TV! I’ve been lucky to get this far into the TV industry, I’m lucky to be able to do what I do and my good luck started on the MA placement! Between January and August each year, FTV students undertake work placements in the media industry as part of their MA. 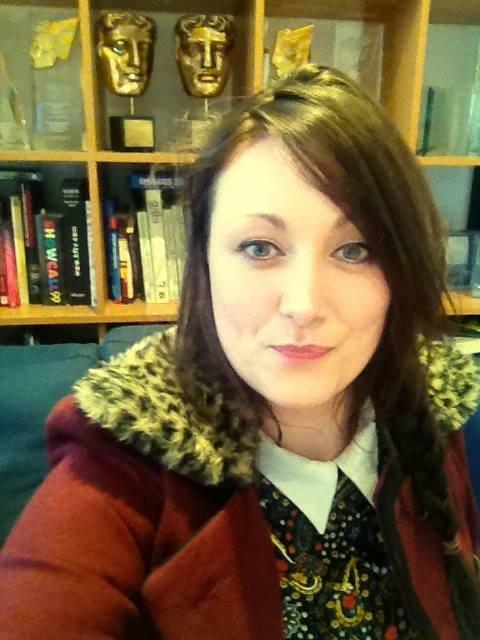 Here is current student Rebecca Conley’s account of her time at Maverick Television – complete with an entry for Careers Network’s Intern Selfie Competition! Making a start: My placement at Maverick Television began as a junior researcher in Development. I began by phoning and emailing people for background material into specific topics to inform the producer’s decision on whether to develop a certain TV programme idea. If an idea was progressed I would then research key statistics and search the Internet for potential hosts, characters or experts. Other tasks included brainstorming new ideas and format points and suggesting titles and taglines based on a treatment. I soon learned that there is no such thing as a “typical working day” in Development. Game Shows: Six weeks in and I changed to working in Maverick’s Multiplatform department. First task was to work on a proposal for a new game show in development. I was involved in researching statistics and accumulating scores from real contestants in a mock run-through of the game show. Other duties included gathering results from the Embarrassing Bodies My HealthChecker web content and making comparisons e.g. based on age, gender and occupation. I also made recommendations of how to push the health apps, doctor response videos and condition guides in each episode of Live from the Clinic. Embarrassing Bodies: I was able to gain some experience as a production runner on the live set of Channel 4’s Embarrassing Bodies: Live from the Clinic, Series 4. My duties included making the teas and coffees for the production office and crew and making sure the green room and the studio was tidy and well stocked with supplies. You can quickly gain the enthusiasm of others by offering a nice cuppa and it’s a great networking tool. I was able to have a chat in the green room with Doctor Brad Mckay, the host of Embarrassing Bodies Down Under, about his new show. (Also, I made a small cameo as Doctor Christian’s back up dancer for a VT in the same episode). On to London: I spent the final week of my placement in Maverick’s London Office. I was responsible for creating categories of multiple-choice questions for a run-through of a game show. I was on hand at the run-through location to meet and greet the game show contributors and make sure they were all provided with light refreshments. This was an interesting insight into the how a programme is developed before it can be provided with funded development or a successful commission. It was a great opportunity to be able to work at Maverick Television. So much confidence can be gained in a short time by hands-on tasks and mixing with seasoned professionals. It puts you in a good frame of mind for the next challenge and improves your CV for the applications. I would certainly like to thank all who helped me at Maverick during my placement and hope we can keep in touch. It’s always great to hear what FTV alumni have been up to since leaving the course, so imagine the excitement in our office when we heard that two past students have been working on television programmes that were awarded BAFTAs a few weeks ago! Scott Billing (2012) has been a researcher on Gogglebox while Rosie Pooley (2013) has been casting for Long Lost Family. 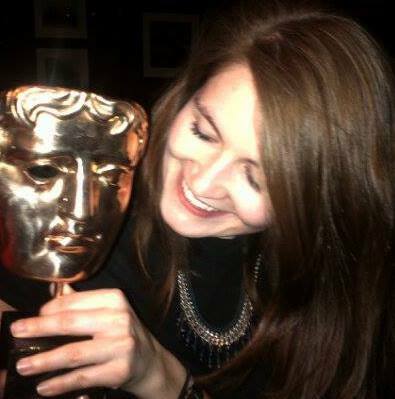 Here are their accounts of BAFTA night, complete with photos of those iconic bronze masks. Congratulations! At the recent BAFTA Television awards Gogglebox, the hit C4 show which I have worked on for the past two series, surprised everyone by winning in the ‘Reality and Constructed Factual’ category. At the time myself, the crew and the contributors were all obviously delighted and shared a sense of combined achievement I have rarely experienced whilst working in TV. We didn’t get to go to the ceremony, and in fact we were still filming the show the night the ceremony was held (we celebrated in the kitchen of one of Gogglebox‘s now semi-famous families). Since we wrapped on the show I have had time to reflect that not only was it an honour to contribute to a show recognised in such a way, but I also have quite a nice achievement to add to my CV, not to mention a pretty decent profile picture! Since leaving FTV I’ve been working on various projects at Wall to Wall, a production company in London that makes programmes such as Who Do You Think You Are? (BBC1), The Voice (BBC1) and Drugs, Inc. (National Geographic). After finishing my 3 month placement I worked primarily with the development team on proposed factual series and dramas (which I loved), before I was lucky enough to land a role on the ITV series Long Lost Family, presented by Davina McCall and Nicky Campbell. The series as you might expect finds and reunites long lost relatives that have been separated for years, and in some cases, may have never even met. It has been an amazing experience and I couldn’t have hoped to work on a better programme for my first TV production role. Currently I’m casting for Long Lost Family Series 4, which due to the nature of the programme can mean you’re often shedding a few tears in the office, but it’s great to get out on a shoot day and see the reunions that really make your job worthwhile. Series 4 will be airing in July so we are all working hard at the moment to make sure the series is even better than last year by finding great stories and helping some lovely people.